Raised by Wolves Productions presents Round and Round by G. M. Lupo at Fringe Festival Atlanta 2015. 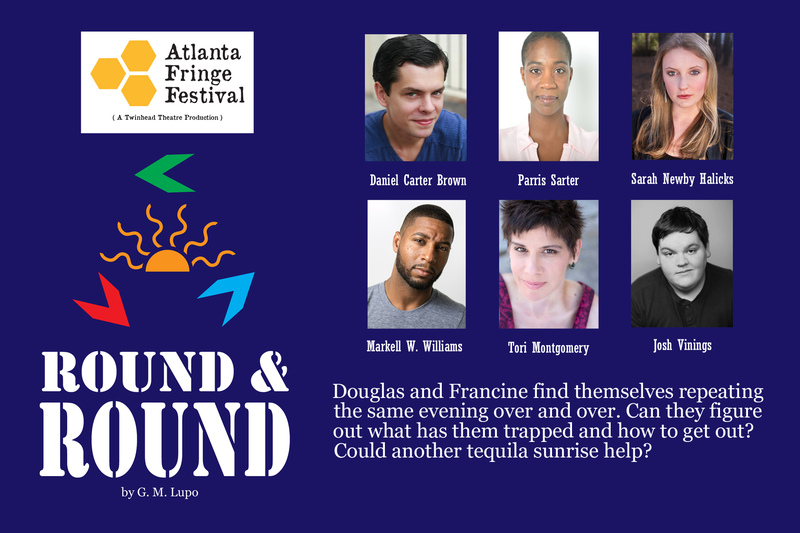 Raised by Wolves Productions will be presenting Round and Round, a one-act play by G. M. Lupo at Fringe Festival Atlanta 2015. The International Montessori Academy, 1240 Euclid Ave. in Little Five Points Atlanta, GA.
Tickets are $10 plus $3 for a Festival button. Douglas and Francine find themselves repeating the same evening over and over. Can they figure out what has them trapped and how to get out? Could another tequila sunrise help? RSVP at the event page on Facebook. For tickets and info on the Festival, visit Fringe Festival Atlanta.